We were having dinner the other night and my oldest daughter reported that she would be attending a “study session” the following day. Her class had a final exam on the horizon and a group was getting together to study. This would be an early morning session so she said she wanted to be sure to stop at the store to pick up a coffee cake before the event. 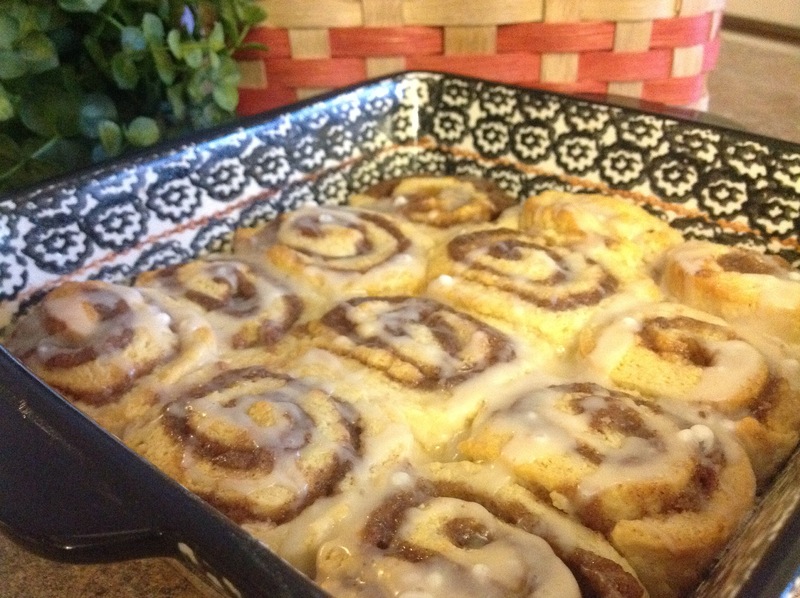 To save her time, I volunteered to make a simple pan of cinnamon rolls that I was sure the group would enjoy. I knew that I had all of the basic ingredients on hand to assemble and bake them before leaving for work in the morning. 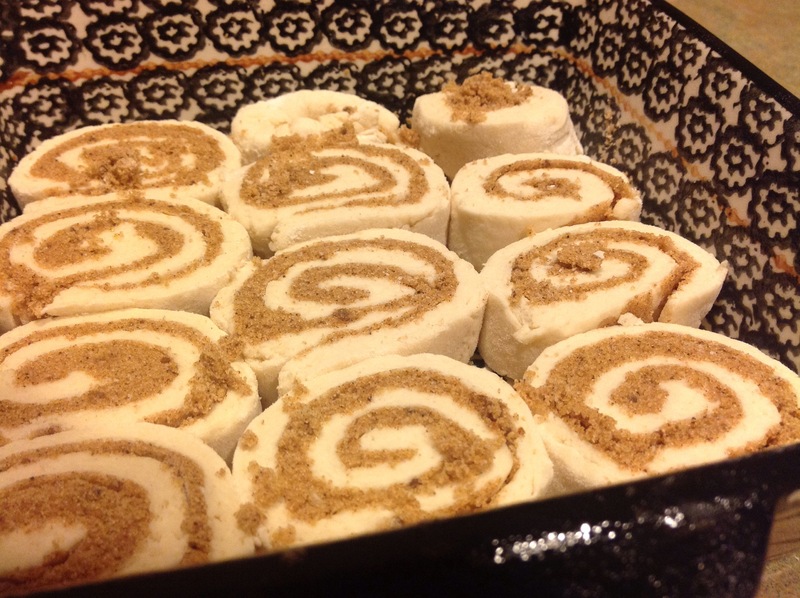 A traditional cinnamon roll recipe can be quite time consuming, but with the help of this semi-homemade recipe, it’s a jiffy of a job. I have to be perfectly honest, when I’m in a hurry, I often don’t have the time to wait for the rolls to rise before putting them in the oven… I simply preheat the oven after I have mixed the dough and prepared the rolls. It usually takes about 20-25 minutes to preheat the oven and clean up the kitchen. Then, I pop them in the oven and let them rise while they bake. Grease 2-9″ square baking pans with shortening or cooking spray. In small bowl, mix warm water and yeast; let stand 5 minutes. In large bowl, mix cake mix and 2 cups of the flour. Add water-yeast mixture; stir with wooden spoon until dough forms. Add remaining flour 1/4 cup at a time, until it comes together in a ball. Cover with plastic wrap, and let rise in warm place until doubled. Meanwhile, melt butter in small bowl, and set aside to cool. In another small bowl, mix brown sugar and cinnamon. On lightly floured surface, roll dough into large rectangle about 1/4 inch thick. 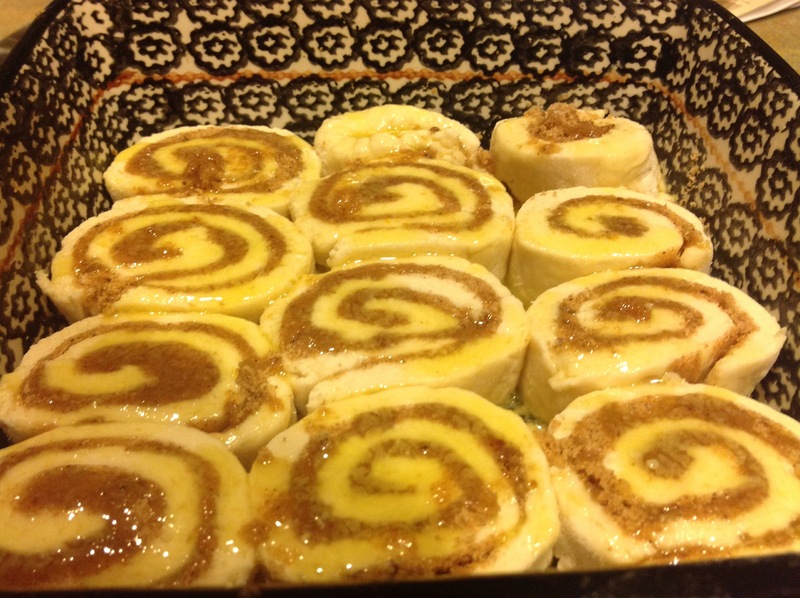 Brush with 1/2 melted butter; sprinkle with cinnamon-sugar. Starting with 1 long end, tightly roll up dough into a log. Cut into 12 rolls. Brush with remaining butter. Place rolls in pan(s); cover with plastic wrap. Let rise about 30 minutes while you heat oven to 375°F. Bake 8 to 10 minutes or until golden brown. 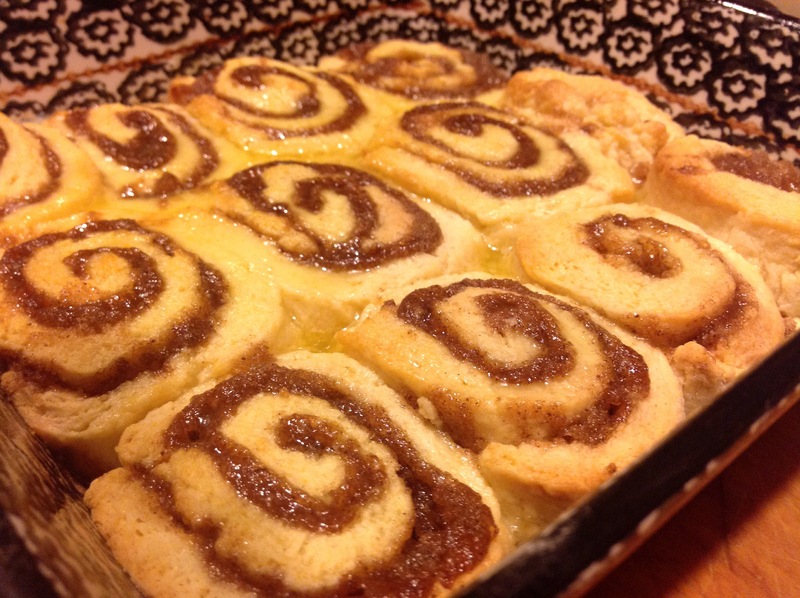 Cool 5 minutes; spread with frosting or with powdered sugar glaze found here. Here’s another great “no-rise” recipe that I often use. Delicious!